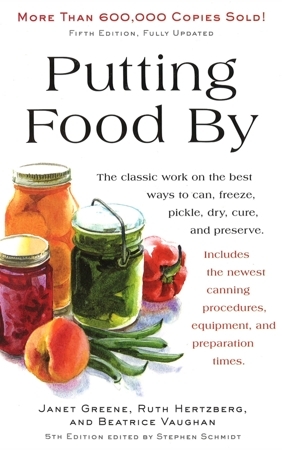 “Putting Food By” (aka PFB) is a home-canning book first published in 1973, and currently (as of 2017) in its fifth revision. Owing to our mandate to adhere strictly to USDA-based guidelines, we haven’t placed it on our core recommended list of sources. and, we believe that a safe canner is an educated canner. Consequently, we have recorded this collection of observations about the book. To be clear, the writers certainly have a great deal of knowledge, and we do cite them from time to time on this web site. And, in all humility, they may have forgotten more about home canning than we’ll ever know. But again, owing to our mandate, we just can’t put the book on the core recommended list. 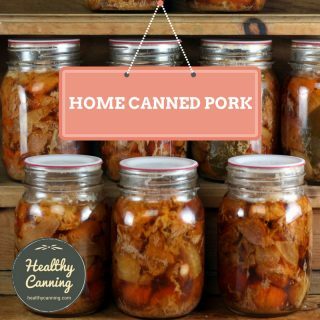 While “long in the tooth” safe canners may have the knowledge to discern exactly what “for the most part” means, most home canners never will. Who do they use as their source? There have been several editions of it starting in 1973. If you are using this book, make sure that you are working from a 2010 or later edition, as they changed a lot of their recommendations for safety reasons in 2010 to catch up with the USDA on some things. Don’t use old copies you find in rummage sales, and stop using any old editions you might have at home. 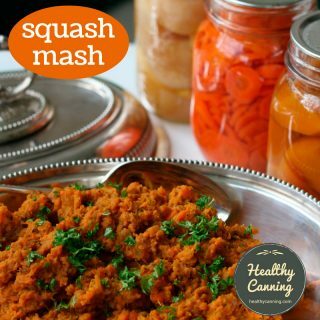 Note: the processing times for food in glass mason jars using both Boiling–Water Bath and Pressure Canning given in this edition of PFB are based on recommendations by the USDA’s Complete Guide to Home Canning (2006). 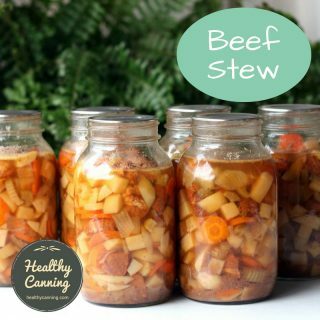 The processing times for home canning in metal containers are from bulletins of National Food Processors Association, which is now called Food Products Association.”  Hertzberg, Ruth; Greene, Janet; Vaughan, Beatrice (2010-05-25). Putting Food By: Fifth Edition (p. 44). Penguin Publishing Group. Kindle Edition. The questions below may just pose themselves because the authors of PFB may have access to more in-depth information that hasn’t been released to us hoi polloi general public yet. The USDA blanket disallows any use of a pressure cooker not also “certified” as being pressure canner class. It is 4- to 6-quart loose contents, and is controlled by a deadweight gauge, using 15 psig. Process nothing larger than a 1-pint jar or a No. 303 can. Don’t let the containers touch each other inside the pan; and of course the jars/ cans will be on a rack that holds them up from the bottom of the pan. Let the pan vent steam for 5 minutes—see The Pressure Canner at Work a few pages later on. Then close the vent and start counting the minutes required for safe processing when the gauge indicates 15 psig. Add 10 minutes to the processing times given in later chapters for individual foods being Pressure-canned (again, this is to compensate for shorter heating/cooling times in the smaller pot). Consult Correcting for Altitude in Chapter 3. If you live higher than 3000 ft/914 m, the leading makers of the small pressure cookers warn against processing low-acid food in these pressure cookers. Reason: water needed for extra processing time at a higher altitude will evaporate before the food is adequately treated.”  Hertzberg, Ruth; Greene, Janet; Vaughan, Beatrice (2010-05-25). Putting Food By: Fifth Edition (pp. 54-55). Penguin Publishing Group. Kindle Edition. Of course, one’s instant reaction as a “safe canner” is shock and horror – they are admitting that some people might use smaller pressure cookers than larger, proper pressure canners, and they are giving them guidance. But there is also now a health and safety concept in population health known as “harm reduction”: acknowledging that some people are going to do less than optimal behaviour health-wise regardless of how often they are told not to, and consequently giving advice to lessen the damage. Perhaps the authors of PFT are engaging in harm-reduction, so you can debate the pros and cons of them addressing such a topic in such a way. PFB give directions for pressure canning Celery (page 138), Eggplant (page 140), Jerusalem Artichokes (page 142), and Salsify (page 150). 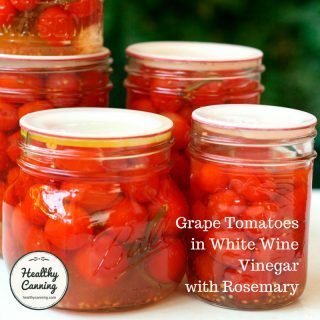 The USDA has no recommendations for these, and pro-actively recommends against canning plain eggplant. Ball used to offer celery and eggplant processing directions identical to PFB, but Ball withdrew those in the second half of the 1970s. Ball used to offer processing times for salsify (25 minutes pints / 35 minutes quarts, compared to PFB 35 minutes pints / 40 minutes quarts), but 1989 was the last year that Ball did. 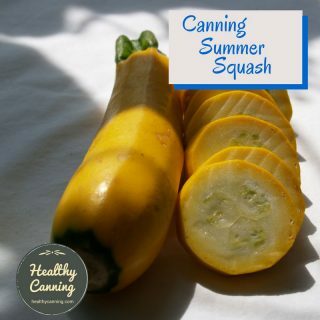 Healthy Canning is not aware of Ball ever offering support for pressure canning Jerusalem Artichokes, so it’s uncertain where the process development for that may have come from. It would be interesting to learn where and when the idea of adding a bit of vinegar to pressure canned peppers emerged, and why Ball / Bernardin / Putting Food By adhere to it, while the USDA does not. 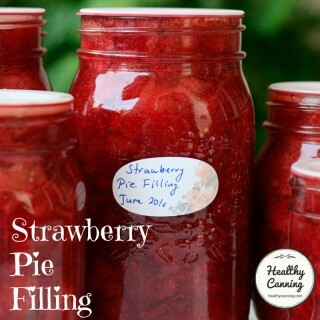 Putting Food By gives directions for pie fillings with tapioca, which will shock safe canners, who have had it drilled into them that the only authorized thickener is Clearjel. Putting Food By, though, covers itself neatly: they note that these directions are originally from Nebraska University Cooperative Extension Service. “Following are well-tested pie fillings: the first two are good friends and fine performers from CES-Nebraska . Tapioca as the firming agent is more stable than cornstarch, which formerly was used here.” (page 195). However, those thickener directions no longer appear to be part of Nebraska’s current recommendations, as of June 2015: https://food.unl.edu/preservation/fruits . Putting Food By refers to the now-discredited inversion method (flipping jars upside down after taking them out of the canner) as “newish”, dating from 1987 and introduced by General Mills. But, in fact, the inversion method existed from the start of the 1900s practically and Kerr was already warning against it in 1947 (see Inversion Canning). But this obviously is a very minor quibble. The USDA ceased providing recommendations for home canning in tin cans in 1988. Putting Food by continues to provide them, as does the University of Alaska Extension Service. This is not to say their recommendations for this are valid or invalid; it’s just an observation. Several University Extension Services endorse the book in various ways. 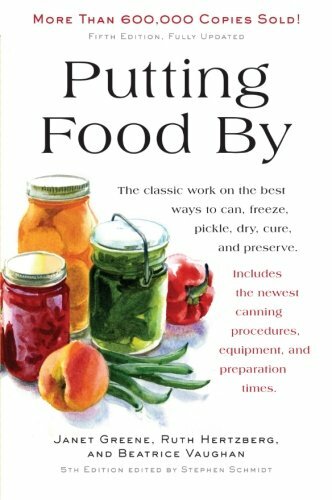 Putting Food By, 5th edition, by Ruth Herzberg, Janet Greene, and Beatrice Vaughn, 2010. A classic paperback book that has withstood the test of time, contains detailed easy to follow instructions gained from experience using extension techniques and procedures, and covers canning, freezing, salting, smoking, drying, and root cellaring.” List compiled by Katherine Humphrey and Judy Price. April 2017. Page 13. 1. ↑ Hertzberg, Ruth; Greene, Janet; Vaughan, Beatrice (2010-05-25). Putting Food By: Fifth Edition (p. 44). Penguin Publishing Group. Kindle Edition. 2. ↑ Hertzberg, Ruth; Greene, Janet; Vaughan, Beatrice (2010-05-25). Putting Food By: Fifth Edition (pp. 54-55). Penguin Publishing Group. Kindle Edition. 4. ↑ List compiled by Katherine Humphrey and Judy Price. April 2017. Page 13.